RockPaperStar - It can take a little snow to get a snow ball going. It can take a little snow to get a snow ball going. Snow is a common thing during Minnesota winters. In fact, we have a carnival to celebrate winter and to get people outside and active. This year, it's expanded and includes cross country ski races, pond hockey and the traditional carnival with ice sculptures and more! Once the dust has settled for New Year's Resolutions, many people stop trying to plan and take action to reach their goals. 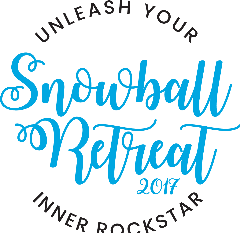 So on February 1, 2017 several brave souls from Minnesota will venture out into the frozen tundra to plan their goals, build their network and unleash their inner rockstar to reach their goals. Everyone knows you can't build a snowball without a little snow, but did you know that you can't reach your goals without a plan? Call us at 612-349-2744 if you want to be on the list for next year! Small Business Saturday is here.